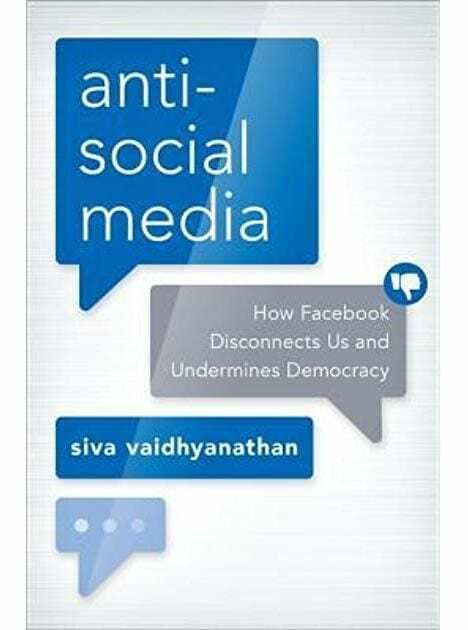 My last post noted that I had started Siva Vaidhyanathan’s new book, Antisocial Media: How Facebook Disconnects Us and Undermines Democracy. Siva Vaidhyanathan is the Robertson Professor of Media Studies and the Director of the Center for Media and Citizenship at the University of Virginia. 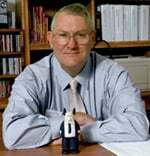 A former professional journalist, he has published five previous books on technology, law, and society. His latest is well written and well researched. I have now finished his book, and it has certainly provoked some thought on my part about the role we faculty (and faculty developers) have regarding the use of social media in our teaching. Siva laid out a progression that characterized Facebook as first a pleasure machine, and then described through subsequent chapters how the design and use led ultimately to a disinformation machine. Mark Zuckerberg’s company has created a platform that makes it very easy to share…and the validity of what is shared is left to the user to determine. A post from a kid in Illinois…or a Russian team in Moscow, looks no different than those from credible news organizations. If it generates likes …or if it generates dislikes – either way it creates engagement…and that allows ads to be visible and the company to make money. Facebook is engineered to facilitate social membership, not deliberation or “truth.” It motivates an attention economy…and if that attention was simply cats playing pianos or cute puppies, that would be fine. But as easy as it is to share cat videos, it is also easy to share hate and disinformation…and if these create engagement, so much the better – from Facebook’s perspective. We in America are vaguely aware of how we were manipulated in the last Presidential election. Yet, as the book demonstrated, this was in some ways child’s play compared to the manipulation in India and the Phillipines. Due to the marketing of Facebook in these countries, where use of Facebook is “free” compared to use of other platforms, which cost data and money, Facebook becomes “the internet” for the majority of the population, making it simple for the governments then to control the messaging and target those it considers opponents. Tough words…and one could assume that this book is quite the downer. Yet Siva closes with optimism…one that I share. He noted that when “…we make a cult of technology and welcome its immediate rewards and conveniences into our lives without consideration of the long-term costs, we make fools of ourselves.” Yet, there are social costs to opting out of Facebook and other social medias. The #DeleteFacebook movement really had no effect on the company…it still is growing (and manipulating). I agree! Perhaps this blog post will matter little…but I hope it starts some reflection – in teachers and in students. Siva noted that the most fruitful response to the issues Facebook creates and inflames is to reinvest and strengthen institutions that generate deep, meaningful knowledge. I would add that within our classes, we need to move from a “cut and paste” process of simply sharing links or snapshots to one that involves reflection and deliberation. We use the word “mindful” a lot … let’s apply it! As citizens, we also need to involve ourselves in the political process. Canvas your legislatures to install protections similar to the EU’s General Data Protection Regulation (GDPR). Follow California’s lead on reinstalling net neutrality…and push to stop this administration from killing it. Push our government to break up the monopolies of Facebook – which now owns Facebook, Instagram, WhatsApp, Oculus Rift, and Messenger (and examine in equal ways Google and Amazon). Their services might be “free”…but is all this power in the hands of a few companies good for our country? Later this month, I will be co-presenting at the Northeastern University’s College of Professional Studies Faculty Development Conference with two of my former students. We will be discussing the pros and cons of using Facebook Groups for learning. In full disclosure, these two students took the lessons from my course on social media and edtech and effectively applied them in their classes. I am proud of them! Now, as faculty, our charge is to continue taking advantage of the affordances that social media bring…but equally important, educating ourselves and our students so that their use does no harm to them. We will be thinking through what that might mean for syllabi and class guidelines, particularly in terms of privacy and group settings. Like Siva, I am a Facebook user and plan to continue to be a Facebook user. Just this weekend, I got to see some of my grandkids on an outing…so the pleasure machine aspect still kicked in. My future role … and I hope your future role … will be to use social media in ways that enhance learning and minimize nonsense. Like most of technology we find in our lives, Facebook can be a help or a hindrance. That may seem simplistic for discussion of something as complicated as Facebook and how it works and influences people. I decided quite some time ago to use my Facebook page to only bring something of value, something positive to other’s lives. I have tried to stay true to that principle. I recently experienced the “value” of staying in touch with friends and co-workers through use of Facebook while I spent a year away helping to care for my mother. Because of Facebook I could continue to read about and respond, if I chose, to happenings in the lives of friends and family. I am gratefully for Facebook and resist using it as a platform to spread disharmony, negativity and polarizing thoughts. Good points, Charlotte. If more people acted as you do, we would have less problems (and Facebook would probably not make much money! ).